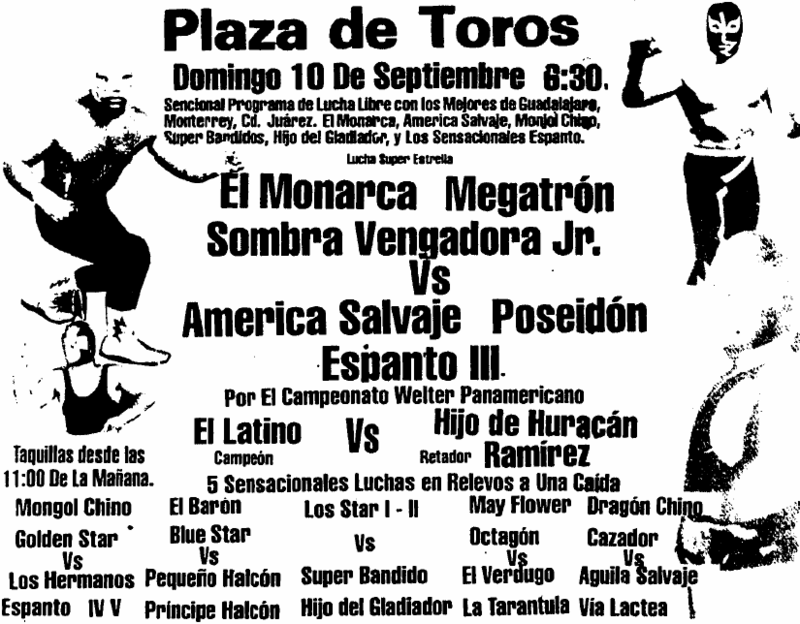 Sombra has an uncle named Juan Andrade* who wrestled as Pentagoncito/Zafiro. Muscle-guy so that fits. WrestleData mentions two, which is incorrect. Kevin/Polifacético/Pollo (the IWRG guy)’s real name is César not Juan.